I’m a semi-morning person. Like I’m not the one to hit snooze when my alarm clock goes off and I can get up and function pretty well regardless of how much sleep I got. But I’m not going to lie it does take me a cup or two of coffee to get me going fully! I’m also not a person who is completely picky about their coffee either. I’m good with it black, sugar but lately I’ve been all about the creamer!! I’ve been going through my bottles of International Delight® like a mad woman! I have a newfound love for their Caramel Macchiato which has a Mellow creamy richness swirled with the taste of bold, luscious caramel in it! That in coffee is heavenly!! BUT not only do love to drink the creamers, I like to use them in my recipes as well!! 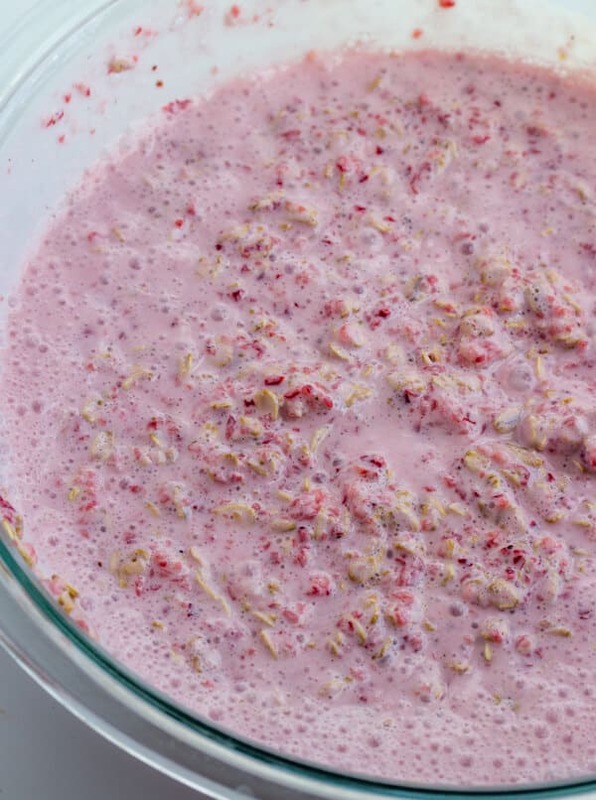 Say hello to another morning staple – Strawberries and Cream Overnight Oats! 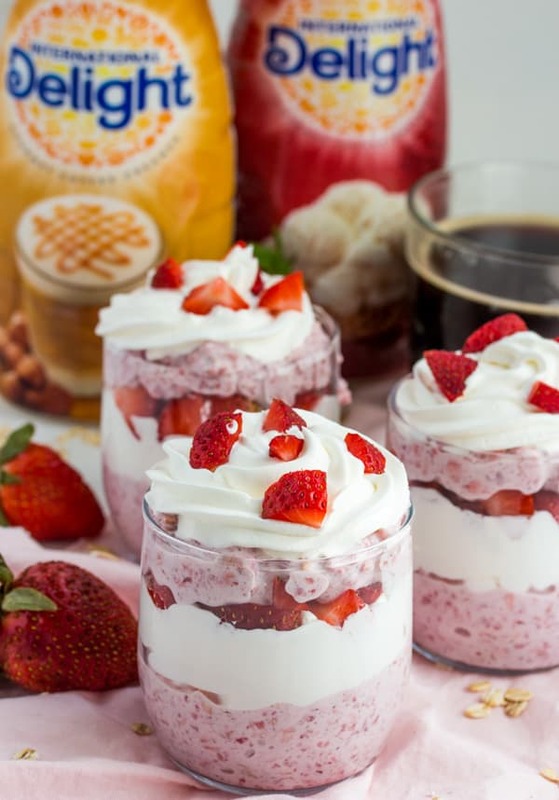 These overnight oats use International Delight® Cold Stone Creamery™ Sweet Cream which has a rich yet sweet flavor that is reminiscent of ice cream! So how could I not use it for these seriously addicting oats? So when I said these oats were easy I really meant it. 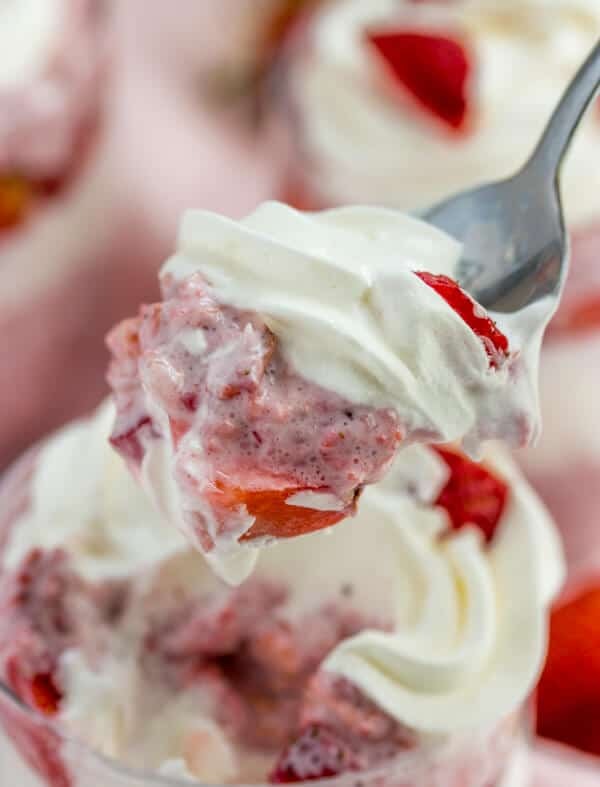 In a food processor or blender you add your International Delight® Cold Stone Creamery™ Sweet Cream creamer, some Greek yogurt and strawberries. Blend it all up and then pour over some old-fashioned oats and cover and refrigerate overnight and when you wake up in the morning you have a ready made breakfast that in reality only took you about 5 minutes to whip up. I’m a sucker for overnight recipes. I love that I can just have a delicious treat with my morning cup of Joe and I really don’t have to do much but sip and wake up! 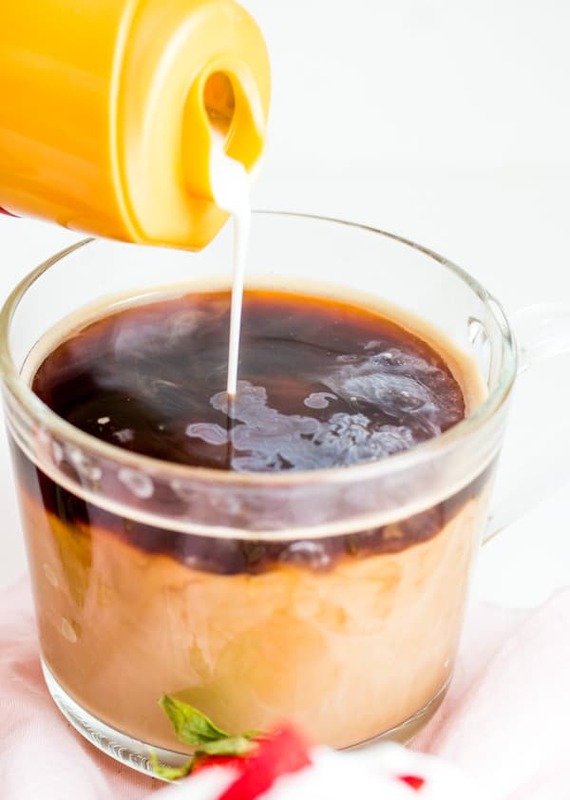 International Delight® really is the ultimate way to make my morning coffee perfect! 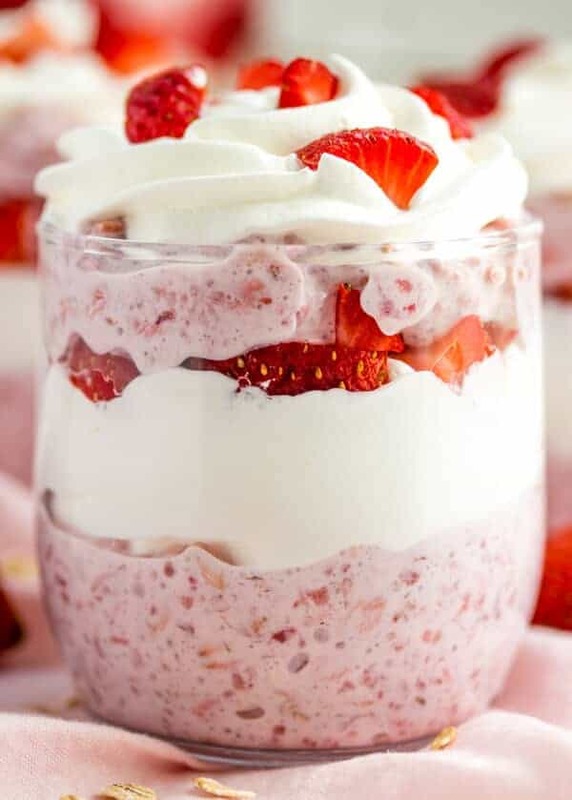 So these Strawberries and Cream Overnight Oats were my 10 year olds absolute favorite thing, I’m not kidding. I HAD to make another bath of these a week later and he ate the whole thing…to himself. I mean come on dude, you could have saved some for me. I love recipes that my kids can fall in love with, especially wen it’s a breakfast recipe and I can get them out of the cereal rut. And the International Delight® Cold Stone Creamery™ Sweet Cream truly and completely gave this dish the flavor that it was needing! 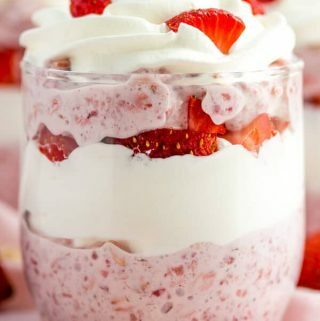 We got a little fancy and layered our oats in some glasses with diced strawberries and whipped cream. While not necessary it does add a little fun and flavor to each bite! 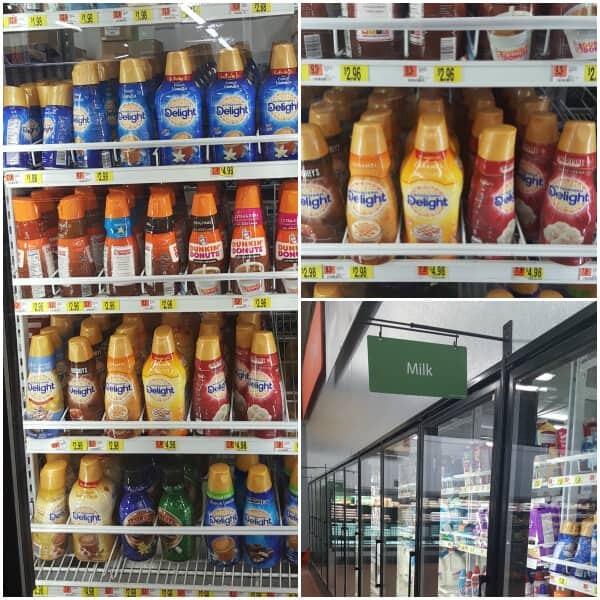 We found our International Delight® creamers in the dairy section at our local Walmart! 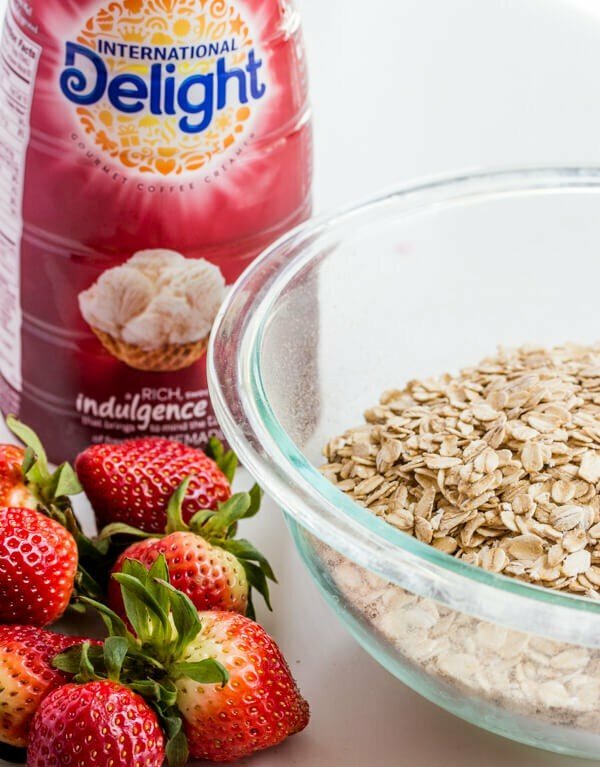 While there make sure you pick up all the ingredients you need to make this addictingly delicious Strawberries and Cream Overnight Oats! What International Delight® flavor gets you most excited to start your morning off right? 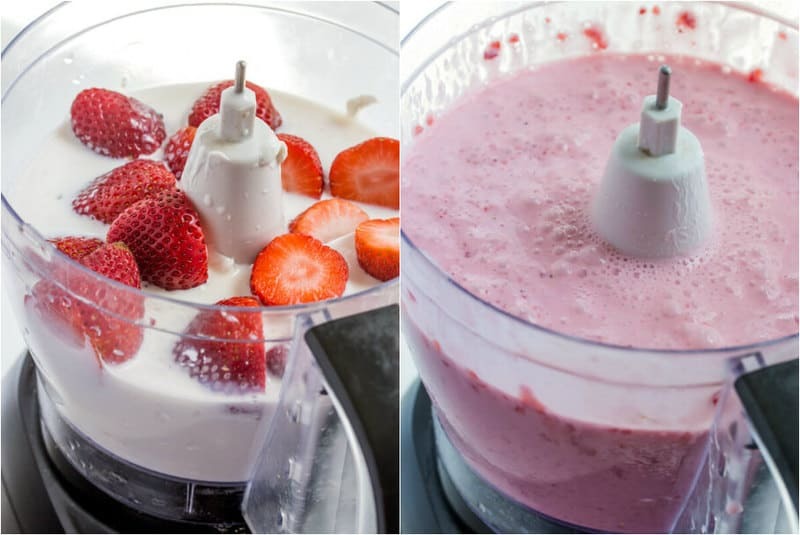 n food processor or blender add your International Delight® Cold Stone Creamery™ Sweet Cream creamer, greek yogurt and strawberries. In medium bowl add your old-fashioned oats then pour your creamer mixture over and stir to combine. Cover and refrigerate 6-8 hours or overnight. 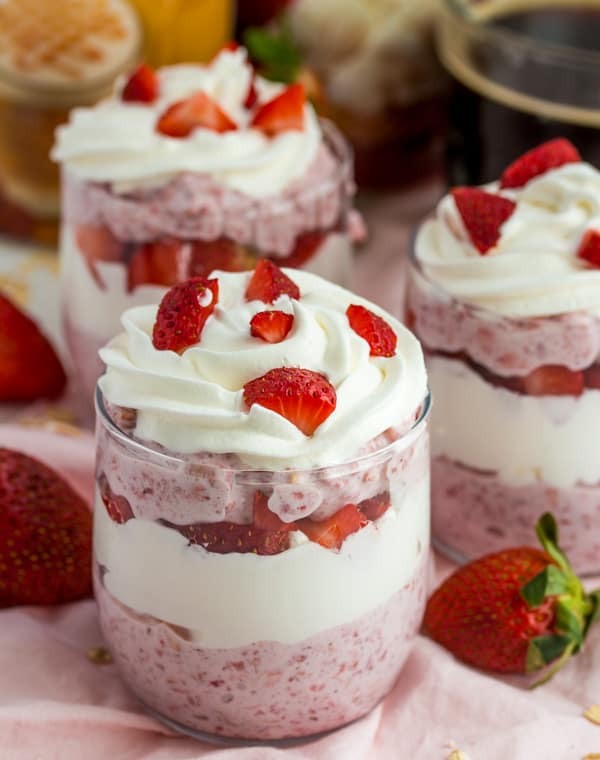 Serve in bowl or in little cups layered with whipped cream and strawberries if desired. I’m assuming we do not cook the oats. Is that correct? Can i use 35% cream & add black vanilla bean flavouring?